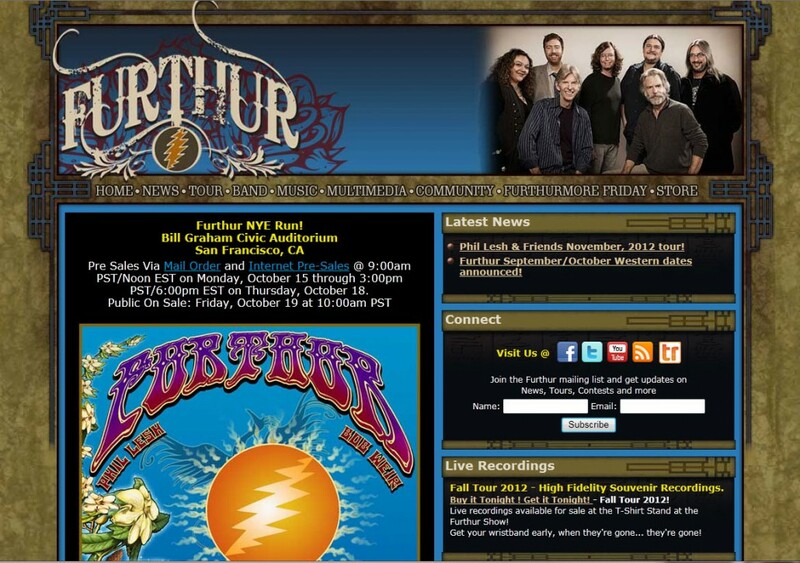 Furthur was a rock band founded in 2009 by former Grateful Dead members Bob Weir and Phil Lesh. The original lineup also included John Kadlecik of the Dark Star Orchestra on lead guitar, Jeff Chimenti of RatDog on keyboards, Jay Lane of RatDog on percussion, and Joe Russo of the Benevento/Russo Duo on drums. 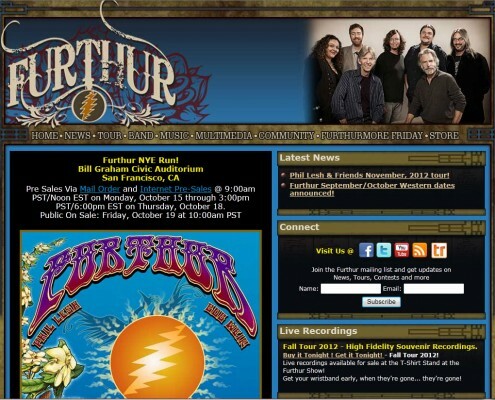 Furthur toured, playing ampitheaters and large venues, giving Grateful Dead fans music for years after the Grateful Dead stopped. 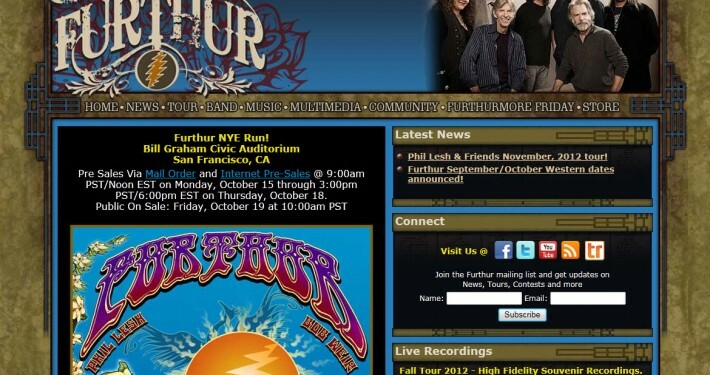 In the fall of 2014 Furthur announced they would no longer be touring as a band. 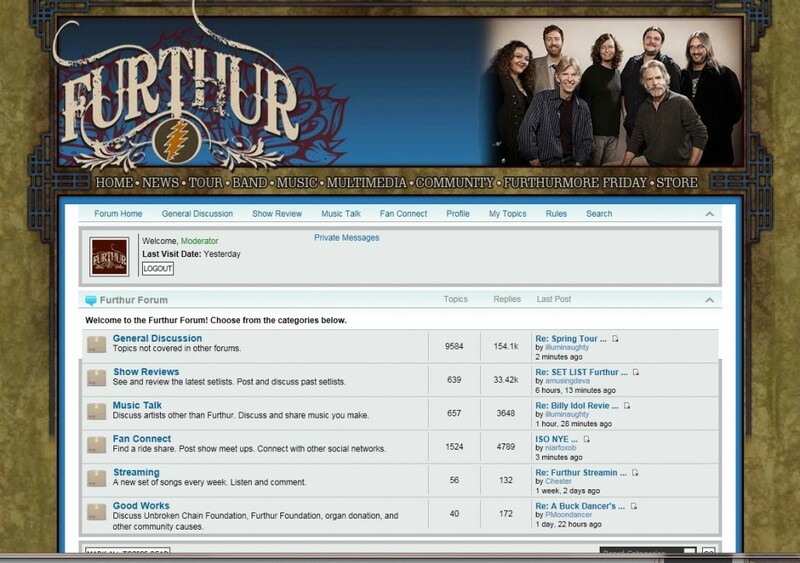 Furthur.net was getting over 120,000 visitors a week thanks to a local Social Community and Forum that allows users to become friends, chat, share photos and videos, join groups and more. 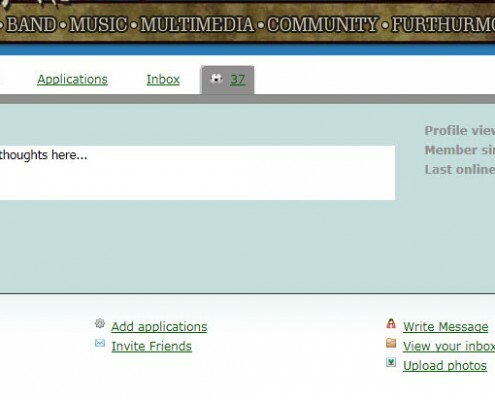 The Community allowed the large Grateful Dead fanbase a place to connect. 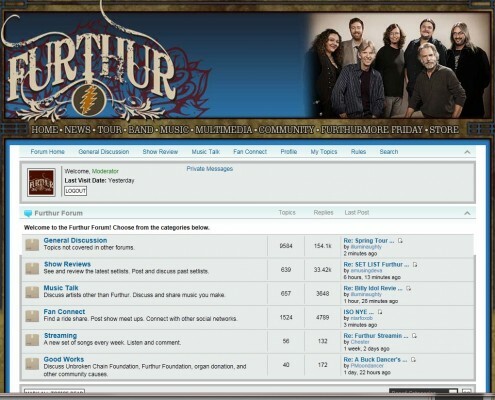 Atomic6 designed, developed and maintained the site, forums and community pieces of Furthur’s web presence.